(November 26, 2016) The latest news is the railways want somebody, anybody, to give them new grain hopper cars. Prairie farmers with unimpaired memories may be forgiven for having a sense of been there, done that. In recent days Cargill has been touring some western farmers around its Vancouver terminal. They’ve been fed a steady drip of anxiety about how old the hopper car fleet is and how they should really ask themselves who should pay for new ones. If this sounds like the same scam pulled for the Crowsnest Pass Freight Rate some thirty years ago, the reader would be correct. Back then the railways were complaining they could not afford to replace aging grain cars so the Crow had to go. Readers may remember that killing the Crow not only resulted in farmers paying higher freight rates but the farmer-owned Wheat Pools being forced to abandon over 80% of their elevators. Even with all that, the railways still complained they could not afford to upgrade the grain cars, bamboozling Ottawa, the Prairie Provinces, and ultimately even the Wheat Board into buying them shiny new grain hopper cars. Fast forward to the present and once again the railways are complaining about grain cars falling apart and being in desperate need of replacement. 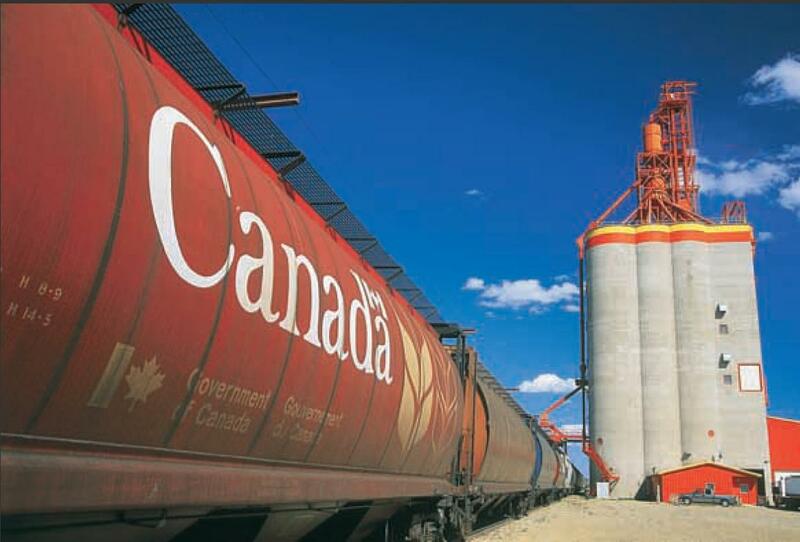 Remember these are publically owned grain cars with operating agreements that say the railways are responsible for maintaining and replacing them. But the railways don’t want to do that. Since the Crow is dead, they’ve switched the “poor me” song from the Crow to the Maximum Revenue Entitlement (MRE), sometimes known as the “rail revenue cap.” But the message is the same: they can’t afford to invest in new rail cars for hauling grain. In fact the MRE provides a generous return on any investments, including new cars, the railways make. But hey, it seems they’re trying to scare farmers and a new transportation minister in Ottawa into giving them a new fleet of cars. But before that happens wait for the usual compliant academics to crawl out of the woodwork to pontificate on how doing away with the MRE, which protects farmers, will really be good for farmers. Who knew farmers didn’t need any protection? 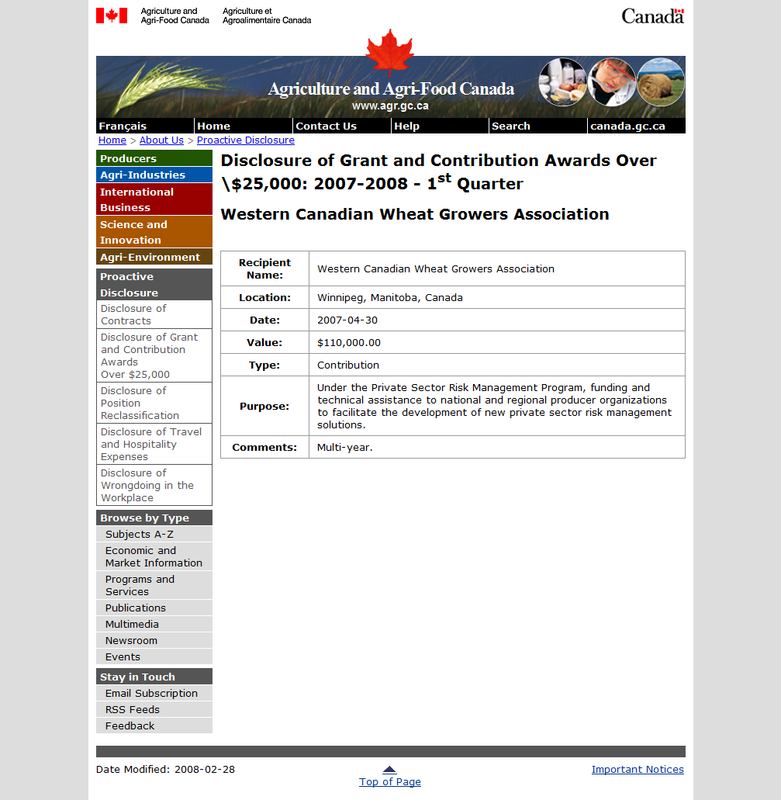 Now I’m waiting for the Western Canadian Wheat Growers Association, who did such a good job of cheerleading for the railways the last time, to come out swinging against the MRE. After all, like the spoiled teenager who demands a new car from daddy when he wrecks the old one, the railways feel entitled. This proves again the old scams are the best. If farmers don’t understand the MRE formula they will play into the railways’ hands, by agreeing the formula needs to be adjusted so the railways can afford new cars. Remember during the Crow debate most farm leaders understood the context and did not take the railways at their word. We can only hope these current ones have the same healthy skepticism. 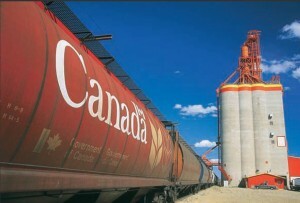 Based on the US experience with railway deregulation, some economists have estimated prairie farmers could well see their grain freight rates increase 50%. History looks set to repeat itself if farmers and the Minister of Transport aren’t careful.